I’m Sophie 22 years old and from Leicester. I couldn’t be more happy to be a real life princess. When I was a little girl I was always in a princess dress and seen prancing around like mini Belle or jasmine etc and I guess I just never grew out of it. I would of loved the opportunity to have a princess come to my party or see one at an event when I was young and I even still get excited when I see the other princesses in their outfits, so it’s something that puts a smile on everyone’s faces not just the little ones. It’s one of the most rewarding jobs I’ve ever had being able to make someone’s day, seeing the little birthday girls face when she sees you for the first time is one of my favourite things. I have always enjoyed working with children and have experience in working with different age groups in primary schools and I also worked at a out of school drama class putting on all kinds of shows. I have had a passion for performing arts since I can remember and have LAMDA certificates in acting up to grade sliver and have a degree in ‘performance for stage and screen’ which I studied at Sheffield Hallam University’. 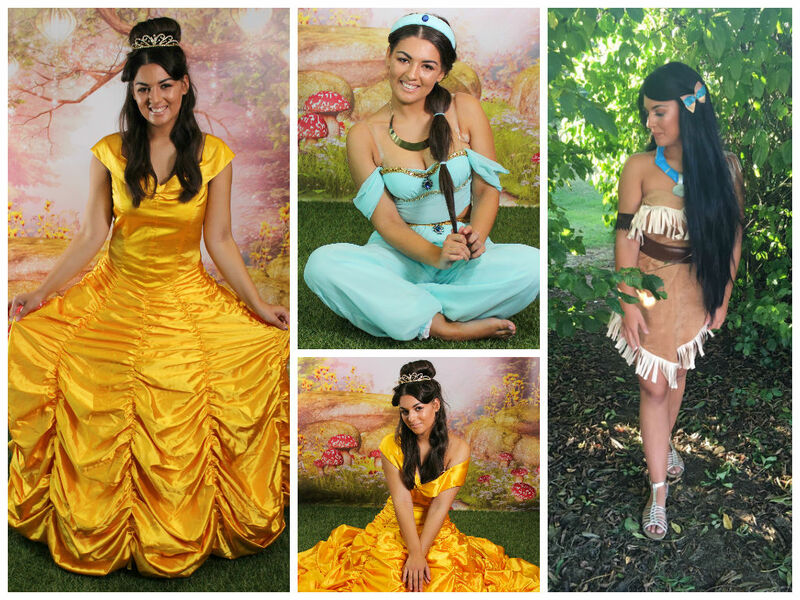 With all this passion and experience it makes me the ideal princess for your party or event. When I’m not being a full time princess you will find me doing a lot of Pilates and yoga i love keeping fit and I also do makeup which I really enjoy. I feel makeup and being a princess go hand in hand as it’s always helpful learning new make up tricks for the princesses I play. Becoming a real life princess is like a dream come true.